With Recipe Contest Plugin create a comprehensive Recipe Competition quickly and easily, either on your own WordPress website or as a complete standalone fit-for-purpose website! There is no bigger concern today that hackers getting at your sensitive data, which is why Recipe Contest has been developed and tested with 8 layers of Voting protection, providing you with peace of mind your competition, and your user’s data, is completely safe. No need to worry about bots and automatic scripts hacking away at your competition – Recipe Contest as your covered. For more specific information take a look at our website here. 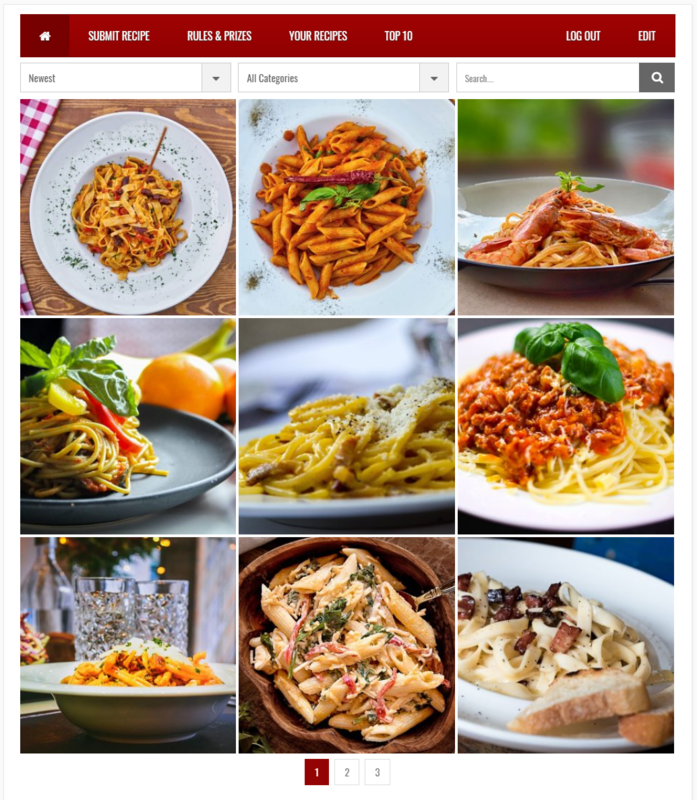 You can control almost every facet of your competition as required with Recipe Contest – new submissions – comments, votes, image size and much more. Recipe Contest has been designed and developed with today’s users in mind and has been tested with all the major browsers for full compatibility. Of course, your users might be in the field using a tablet, or a smartphone and you want assurance that your competition will meet those demands too. No problem. Recipe Contest plugin is fully responsive and will display fluidly across all of today’s modern devices as well, smartphones, tablets, laptops and desktops. You’re going to need design over the look and feel of your competition, as well as the data to analyze submissions and it’s all taken care of right out of the box. Adjust and edit any text information, rotate & flip horizontally or vertically any image, crop, resize and limit file size – even assign recipes to categories. You can show or hide names and votes on recipes and of course, every view of each recipe has been automatically counted for you. It’s also exportable data – a marketer’s dream! Running a massive BuddyPress community, team or group? No problem! 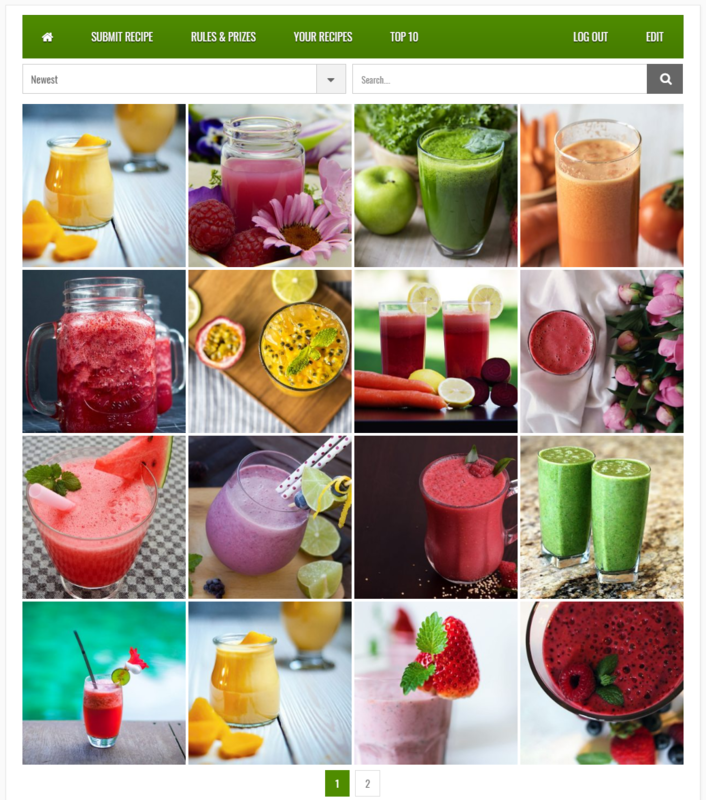 Recipe Contest has been carefully tested and integrated with BuddyPress so implementation is simple.